With a grant from the NRA we have been able to build a new staging table as well as put in 10 new target stands. We have a few target backers for the stands and will do our best to keep a couple of them at the ready for shooters. We have also erected a nice flag pole which is easy to use and makes the Range Flag visible when the range is in use. You must supply your own cardboard, black jack, target and means of mounting the targets. The stands hold a 32″ x 48″ backer. 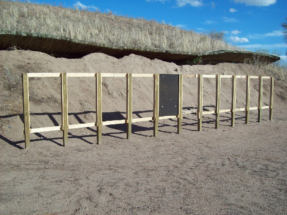 Targets must be mounted to the backers only not the stands. 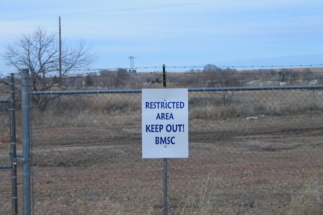 You may also use the trap area (shotguns only). 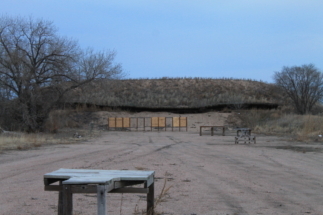 You may bring your own blue rock thrower but you need to throw from the trap pit area to the east as if the rocks came from the trap. It is the responsibility of the shooter to clean up his own shell casings and paper products that he used during his practice. There must be a Range Officer on the range at all times when in use. The keys and range flag are located at the Police station. He has control of the range and is responsible for the safety of all users. 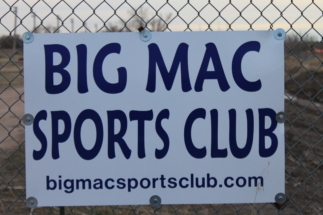 If you are a member of the Big Mac Sports Club you may take the Range Officer Training so you may use the range when you wish rather than locating a Range Officer to assist you. To become a Range Officer you need to contact Rod Kolsrud at (308) 284-3883 Home or (308) 284-2024 Police Station so see when the training will be offered.